Want to borrow a Cadillac Escalade for your weekend in Prince Edward County? Now you totally can. 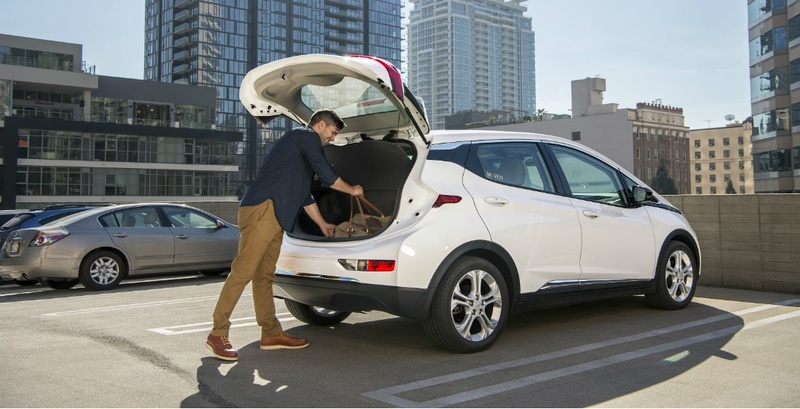 General Motors has just launched its in-house car-sharing company Maven in Toronto today, marking the brand’s first major international expansion. As Toronto’s congestion continues to worsen, the service offers an alternative to traditional car ownership and lets members rent a number of GM vehicles for whatever they need, from a quick trip to the grocery store to a month-long road trip. The car-sharing service will park 40 fuel-efficient vehicles around Toronto. Members — who can join for free — will have access to the Chevy Malibu and Volt, GMC Acadia and Yukon, and Cadillac ATS sedan and XT5 crossover. And according to Maven, each vehicle will help take approximately 10 private cars off the road. Using the Maven smartphone app, members can seamlessly access the available cars, including locating, reserving and unlocking them with the tap of a button. Prices vary by vehicle, but rates start as low as $9 (CAD) per hour, while Maven takes care of the insurance and leaves a gas card in the car to pay for fill-ups. “Toronto has a unique spirit. Residents are constantly on the go and want more sharing and mobility options,” said Julia Steyn, vice president, General Motors Urban Mobility and Maven. All vehicles will be equipped with all the perks you could want including OnStar, Wi-Fi, Apple CarPlay and Android Auto, as well as SiriusXM Radio. Vehicles will be parked at “carefully selected parking locations convenient to where our members want to be” including Bloor West Village, Liberty Village, King West, The Entertainment District, City Place, Yonge/Eglinton, Leslieville, Ryerson University, The Danforth, Financial District, Little Italy and the Eaton Centre.